According to a study recently published in the Journal of Neurotrauma, researchers suggest that former National Football League (NFL) players who start playing tackle football before the age of 12 have a higher risk of altered brain development compared to players who start playing later. It is the first study to show a connection between later life structural brain changes and repetitive head impact exposure at an early stage of life. In the study, researchers from Boston University School of Medicine and Brigham and Women’s Hospital observed 40 former NFL players. Players were between 40 and 65 years old, had a minimum of two years of experience in the NFL, and have more than 12 years of experience playing organized football. Half of the players had started playing football at age 12 or later, while the other half had begun playing football before the age of 12. All players sustained similar amounts of concussions and had experienced a minimum of six months of cognitive problems. Players were tested with an advanced type of magnetic resonance imaging, called diffusor tensor imaging (DTI). This technique views the water molecule movement in the white matter tracts of the brain that helps relay information and commands. Researchers discovered that players who began playing football before 12 years of age had a greater chance of white matter tract alterations in the largest brain structure, called the corpus callosum. Study researchers note that the 40-player study is considered small, and the results can’t be generalized for players who started playing football before the age of 12 but who didn’t end up playing football professionally. 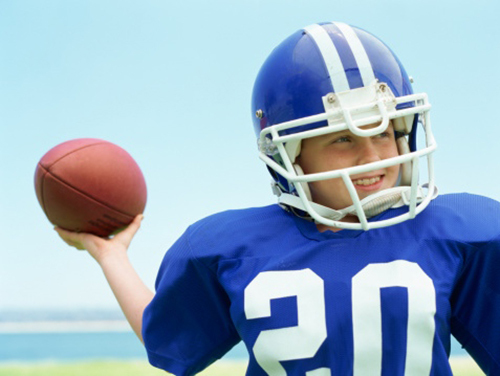 Previous studies from the same researchers have found that former NFL players who begin playing football before the age of 12 are at a greater risk of developing cognitive, behavioral, and mood impairment. Stamm, J.M., et al., “Age at First Exposure to Football is Associated with Altered Corpus Callosum White Matter Microstructure in Former Professional Football Players,” Journal of Neurotrauma 2015; http://online.liebertpub.com/doi/abs/10.1089/neu.2014.3822, doi: 10.1089/neu.2014.3822. “Altered Brain Development Among Former NFL Players, Study Suggests,” ScienceDaily web site, August 10, 2015; http://www.sciencedaily.com/releases/2015/08/150810123612.htm. “Study suggests altered brain development among former NFL players,” Boston University Medical Center, August 10, 2015; http://www.eurekalert.org/pub_releases/2015-08/bumc-ssa081015.php.